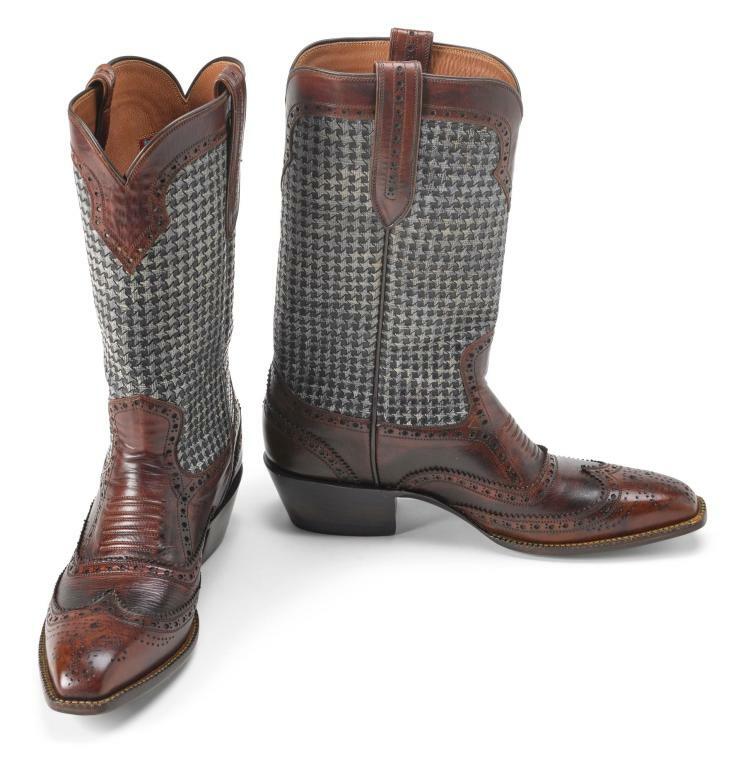 Description: For this unique pair of cowboy boots, Huntsman worked with Rocketbuster el Paso, who has hand carved Huntsman's exclusive houndstooth cashmere design into the leather. Then artisan hand stained the cashmere hues to nearly perfectly match the original cloth. As Rocketbuster says, these boots provide 'space age vintage style for folks who just ain't boring!' The pair on offer here has been created in US size 10.5, however a different size can be made for the buyer upon request. Follow this link https://youtu.be/uDjn9fwRHBM to see the work and love that goes into creating leather that perfectly mirrors cashmere tweed.